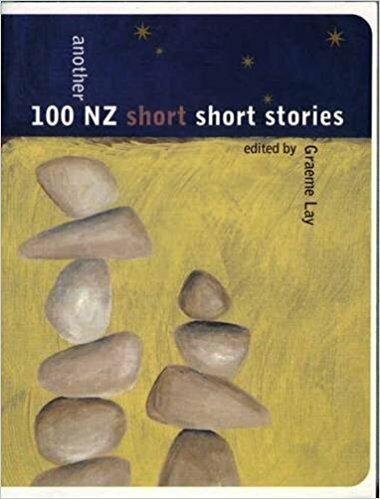 This month marks 20 years since the publication, in May 1998, of my first piece of fiction, in this fine wee book: Another 100 New Zealand Short Short Stories, edited by Graeme Lay, and published by Tandem Press (it’s out of print now, though probably in secondhand bookstores and libraries; stories from three volumes in the series were – I recall – later published by Black Swan/Random House NZ in an omnibus edition). As editor Graeme Lay explains in his introduction, ‘a competition was launched to attract contributions’ for this, a follow-up book on the back of the success of his bestselling 1997 anthology 100 New Zealand Short Short Stories. The competition drew over 800 submissions, and 100 were chosen by Graeme Lay, with competition judge Stephanie Johnson, for inclusion in this second anthology. The back cover shows the phenomenal list of 99 other New Zealand writers who, with me, had stories in this volume: Lloyd Jones, Rachael King, Catherine Chidgey, just for starters. I may not have been aware of Bill Direen‘s work back in 1998. I’d only been living in New Zealand for two years, then, and I was still finding my way into NZ music and writing. I’ve spent the last 20 years trying to catch up. The 2017 documentary film Bill Direen: A Memory of Others, directed by Simon Ogston and with Bill Direen as its subject, was one of the films I most enjoyed at last year’s NZ International Film Festival (bonus: Direen was there for Q&A after the Wellington screening I attended). I wasn’t the only one who loved this film; here are Grant Smithies and Simon Sweetman, writing last year about Direen and A Memory of Others.